to go. They will happily fill growlers and also have crowlers on hand. 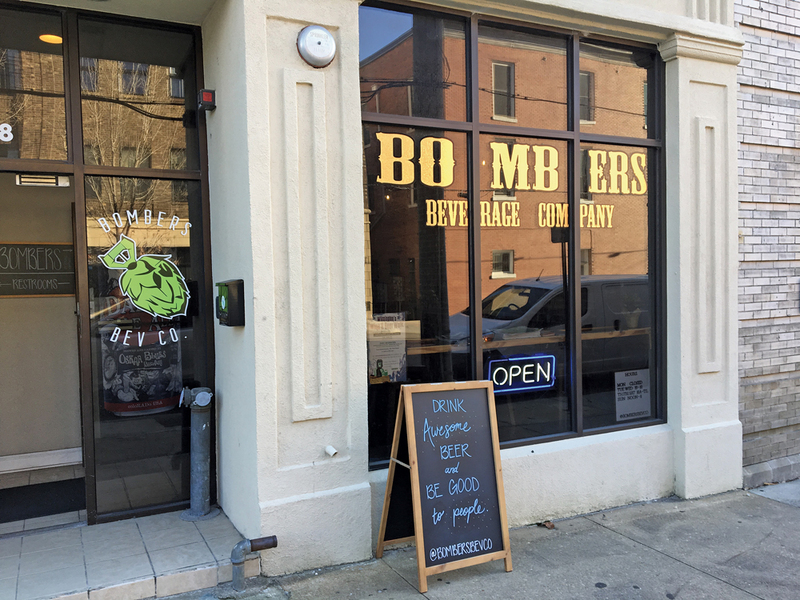 Bombers has an outside seating area, the Beer Alley, where you can sip on a beverage in the sun. They have live music and comedy on the weekends and a FREE wine tasting every Friday! Dogs are also welcome in this establishment.